Commercial and home use cooking oil making machine has been working in high temperature,Demand has very good heat resistance.Our oil press are of good quality,Precision manufacturing, Oil mill has been working in high temperature,The high frequency quenching, heat treatment,High hardness, strength, good abrasion resistance,To adapt to the continuous operation of high temperature and high pressure, improve the service life of the oil press, use time can be up to several ten years.Reasonable spiral press chamber Using multistage advance gradual compression principle, make the pressing chamber pressure increases rapidly, isolating oil one-time fission, again USES the infrared temperature control system, automatic control of pressing temperature and moisture, to soften oil directly activate the oil molecules, squeezing the stable, a bleed, greatly improving the yield efficiency . 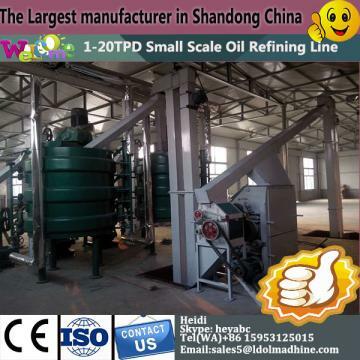 Commercial and home use cooking oil making machine applies the principle of multilevel advance gradual compression, which can increase oil production Efficient oil producing. In order to avoid extrusion grease again back to dip into dry bread slag, the pressing chamber inside of the device's unique design guide groove, isolating oil, bread quickly, significantly improve the yield efficiency.